Totally Accurate Battlegrounds got released earlier this month, and whilst school exams were on, I managed to grab it whilst it was free to keep on the steam store. Now that exams are over, and I decided I would have a go of it. It comes from Landfall, the developer behind Totally Accurate Battle Simulator and Cluster-Truck. I’ve had a short 45 minute go of it and it’s a mixed bag. 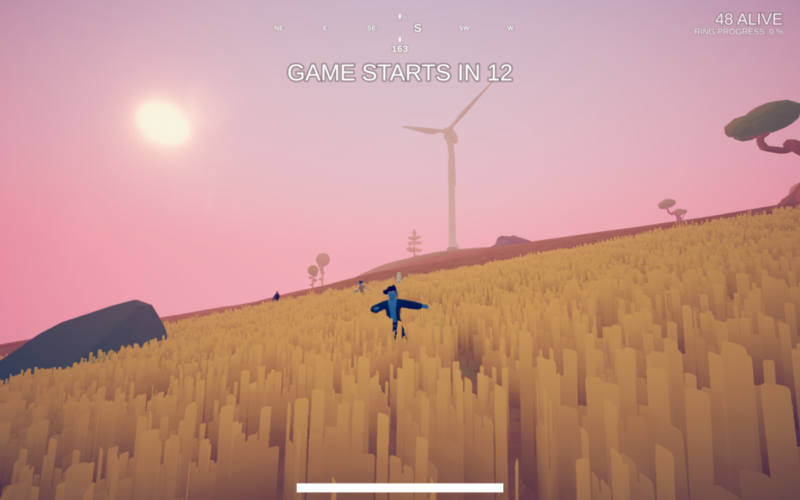 The game is in that vein of games that have followed Goat Simulator in that… It technically works for the most part and is highly enjoyable and has some wacky kinks in the physics engine that make it hilarious to watch. Although, like Goat Simulator, it’s humor wears off quickly. The first example of this sort of tom-foolery is the way the character is animated. They have this wobbly nature to them, running just makes them flail their legs back and forth and their torsos to wobble left and right. Another thing that differentiates it from other Battle Royale games is how you deploy your character onto the map. That’s right, only one map, however, it is huge. But the way you deploy is that you stand on top of a truck, in a convoy line of trucks, before pressing F to catapult yourself in the most ridiculous falling/flying animation I have ever seen. It’s like all of your limbs have become slippery noodles in the wind. You can control where you go, within reason: you can’t fly forever. 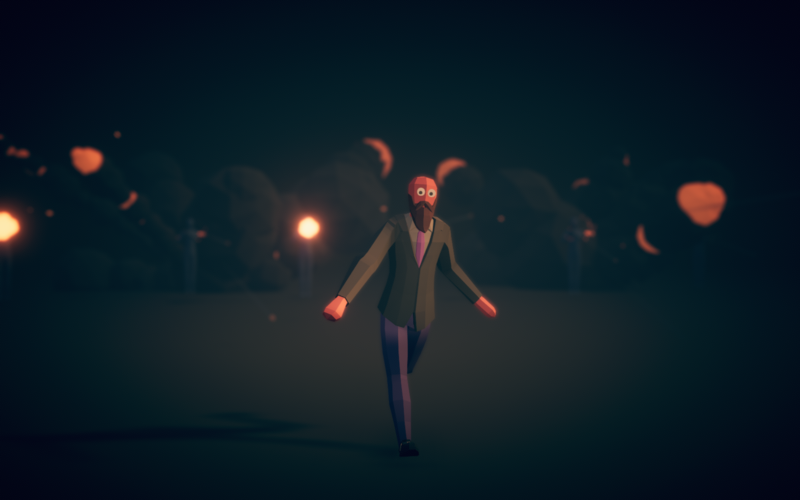 The rest is simple: Find some armor, guns, ammo a melee weapons maybe a few throw-able weapons or explosives in the pursuit of being the last man standing. Only it’s not so simple when the actual combat kicks into gear. Everyone has the same wobbly animation, and the more movement and speed, the wobblier and suddenly more acrobatic you’re avatar is: and it seems as though hit boxes are affected as a result. Head-shots feel almost impossible when a person is dodging, and it feels like it comes down to luck if your bullet actually hits it’s target, which is frustrating given you have limited ammo. Even melee is a bit dodgy, with both involved characters wobbling all over the place it becomes hard to actually hit even if you are standing right in front of them. When I tried to trigger it, I heard the firing sound, but I couldn’t see my gun and the target hadn’t been hit. 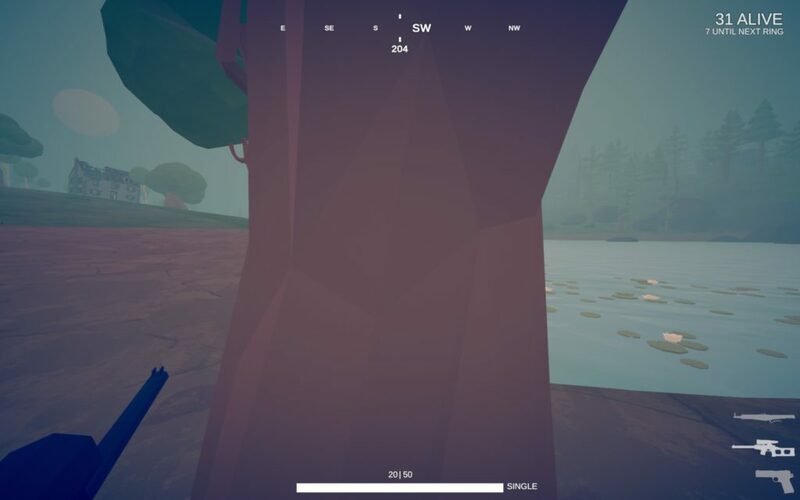 I noticed that, because I had placed myself in front of the cannon to the point where I was practically pressing my character’s stomach to it, My gun was squashed between me and the cannon and was pointing out to the side as a result. This is neat I had thought, now we have to think about where we actually move them from instead of having them overlaid onto our view or clip through walls. Until it got caught on a window frame when I was trying to defend myself in an actual game. It’s realistic, but frustrating too when it interferes with the combat. My gun being caught on a tree as I swing my vision to the right. In terms of scavenging for materials, the world isn’t very exciting. A small palette of bright colors, a few towns here and there, with even a bizarre castle. “Sounds exciting.” You might be saying, but it’s not when you realize you cant actually interact with it. Sure, I’m not expecting an RPG’s level of interactivity, that’d be silly, but you can’t even open doors. 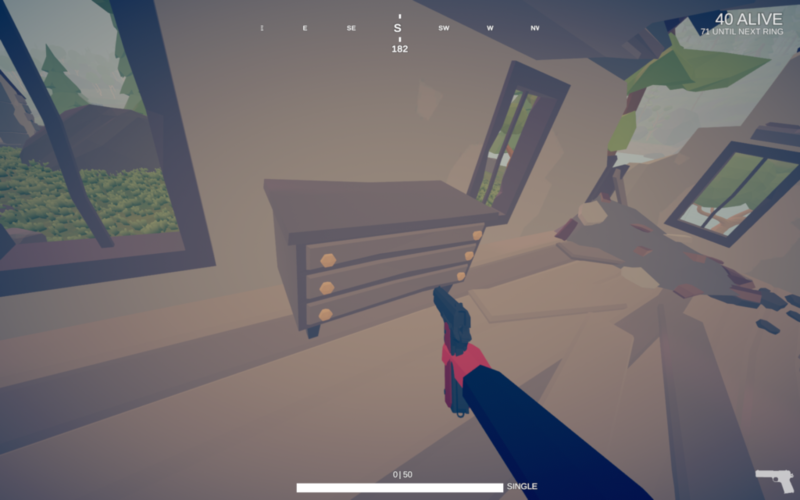 Explorable houses just have empty doorways for you to walk through and there’s no windows to shoot out, you just vault through empty window frames. You can’t search cupboards, chests or even cardboard boxes that you find: Items just lay on the ground or on tables. Sometimes the ammo is occupying the same space as the gun it is ammo for, clipping through each other. The game also has some other knick-knacks: You can customize your character with a handful of options for clothing and color, you can crouch and crawl on the ground if you want to be super serious about how you play, there’s drive-able vehicles (of which there are no 3rd person views for, making it annoying at times to drive in cars) and if you press G, your character will begin beat-boxing, of which the menu has it listed as the control for “Gangster”. You can’t search containers in the world. Unfortunately, Cheating has been a big enough problem that the developers have said that they are working on a patch to prevent it, but within the 45 minutes I played this game, I already met one person who seemed to be cheating. After catapulting next to someone in game by accident in a field, they immediately began shooting me. “Yes Asher. They shot at you in a Battle Royale Game, it’s what they supposed to do.” Well yes, but not if you’re meant to have nothing to start with and scavenge as you go, this was after we had just landed mere seconds after the game begun. There was no house, simply a field with a couple boulders and trees. I can’t quite recommend the game just yet. It hasn’t got that level of interactivity to keep you engaged for the game-play, it’s physics engine starts off amusing but becomes agitating after awhile, and the game becomes very repetitive and boring. I’m glad I had a go of Totally Accurate Battlegrounds, but I think I was lucky that I got it whilst it was free to keep. It’s cheap, but it’s also a game that doesn’t stay fun or humorous for long. I would only recommend it after it’s had a few updates to add a couple more features and cheating issues the community is having.